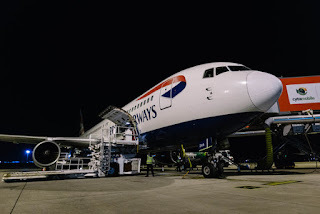 The UK's national airline, British Airways said a fond farewell to an iconic aircraft that once formed a major part of the carriers fleets, the Boeing 767. The airline operated its first Boeing 767 in February 1990 on a short hop to Paris and since then the BA 767 fleet has completed over 425,000 commercial flights. 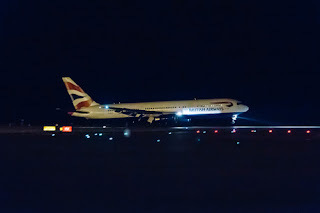 Statistics show that rather surprisingly, Frankfurt was one of the main routes BA deployed the 767 on, with the type completing nearly 15,000 flights to and from the German airport. Those twin jets also went further afield, serving routes as varied as Abu Dhabi, to Calgary and New York. Initially, BA used the 767s on long-haul routes although in recent years it has been reconfigured for use on short-haul, including to Athens and Larnaca as well as even on some domestic routes. British Airways Director of Flight Operations, Captain Al Bridger, said: “The 767 has been a brilliant part of our fleet, flying some of our most popular routes and giving customers what was an industry-leading service in its time." As soon as the airline started taking delivery of the far more modern 787 Dreamliner aircraft, the 767's operational days were numbered, Just a week or so ago, British Airways took delivery of its 30th Boeing 787 Dreamliner, therefore it is perhaps fitting the 767 in BA colours comes to the end of its flying life. The final 767 commercial flight took place on aircraft reg G-BZHA which first flew in 1996 and has flown an estimated 23 million miles. It has visited Larnaca 900 times in its life, but its most popular route is actually to Athens, where it’s completed 1,275 round trips. It is estimated that this aircraft has carried around 4 million customers across nearly 23,000 flights. It's last commercial flight left Larnaca (LCA) at 2000 on Sunday, November 25th landing back at its home base of London Heathrow at 2225. The aircraft's last flight was from Heathrow to St. Athan (DGX) not far from Cardiff in Wales the next day where the aircraft will be parted out. Planefinder.net tracked the final flight, listed here.